This weeks recipe comes straight from Paul Purcell’s kitchen. 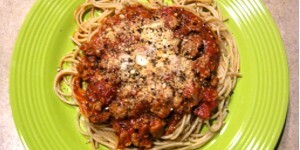 It’s a delicious and flavour-filled take on a classic family spaghetti recipe. Get your Italian Sausage from Jack’s Deli.